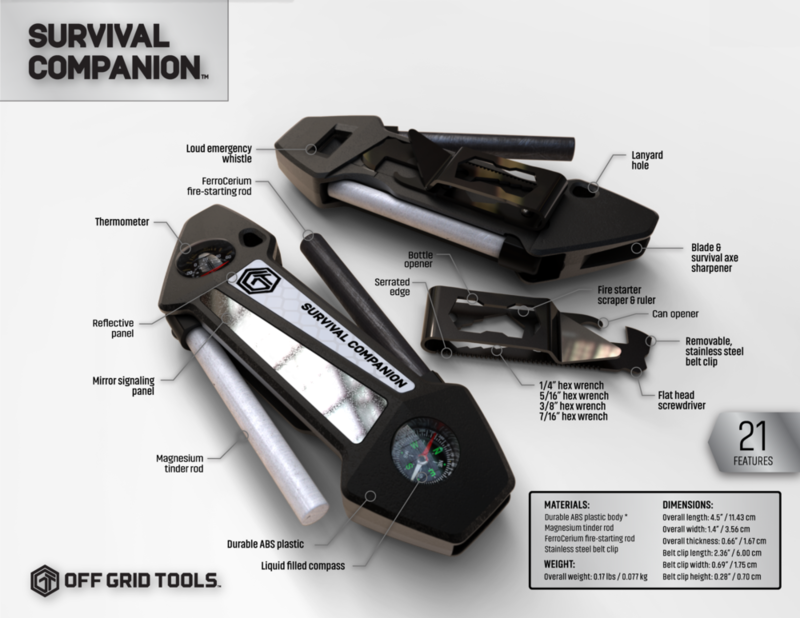 The Survival Companion Multitool is survival that fits into the palm of your hand. The tough ABS plastic body is built to take a beating, while you survive the elements. The companion contains fold out magnesium and ferrocerium rods for fire starting, along with an emergency whistle, blade sharpener, and reflective panels. The compass and thermometer are also essential to survival out in the elements. The feature rich removable belt clip contains a screwdriver, bottle and can opener, 4 different hex wrenches, a serrated scraper, and a ruler.